Europe metal finishing equipment market is expected to register a CAGR of 5.43% during 2018 to 2023 (the forecast period). Germany dominated the Europe metal finishing equipment market, accounting for around 35% of the market through the forecast period. Applications, such as electroplating, surface preparation, galvanizing, and electroless plating, amongst other applications, are driving the inorganic metal finishing market. Electroplating process segment dominated the inorganic metal finishing market in 2017. Electroplating acts as a barrier against corrosion, enhances the appearance of the metal, reduces friction, is an efficient conductive solution, improves catalytic converter performance, and prevents formation of whiskers; all of which make it a viable choice to be used as a process for metal finishing applications, thus, driving its growth in the inorganic metal finishing market. In the automotive industry, metal finishing is used in engine and other under-the-hood components, power steering systems, brake parts and systems, air-conditioning components and systems, chassis hardware, climate control components, and fuel systems. In Europe, countries, such as France, Germany, Italy, United Kingdom, Spain, and Sweden, have seen good growth in automotive production, which in turn, will increase the consumption of metal finishing in Europe, during the forecast period. In Europe, automotive segment accounted to around 42% of the metal finishing market. 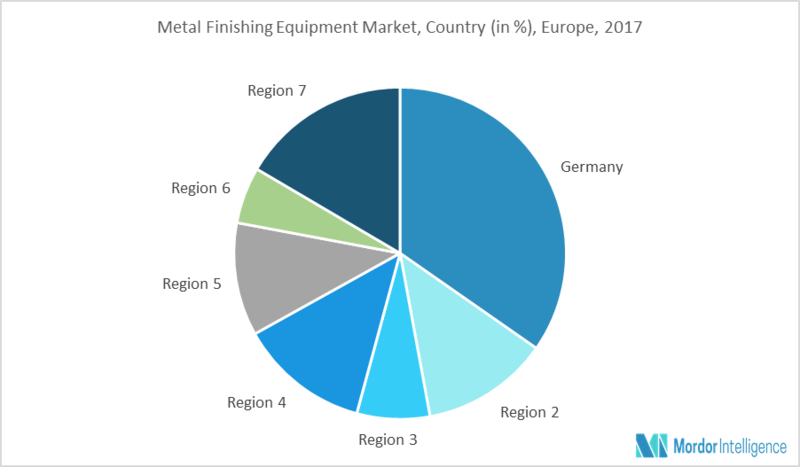 Germany dominated the Europe metal finishing market, accounting for around 35% of the market through the forecast period. Growing use of metal finishing technique in automotive, electronics, construction, aerospace, medical devices, manufacturing, etc., in the country will facilitate the growth of metal finishing technique, during the forecast period. Major Players: Honeywell, Praxair Surface Technologies, Oerlikon, and Uyemura International, amongst others.